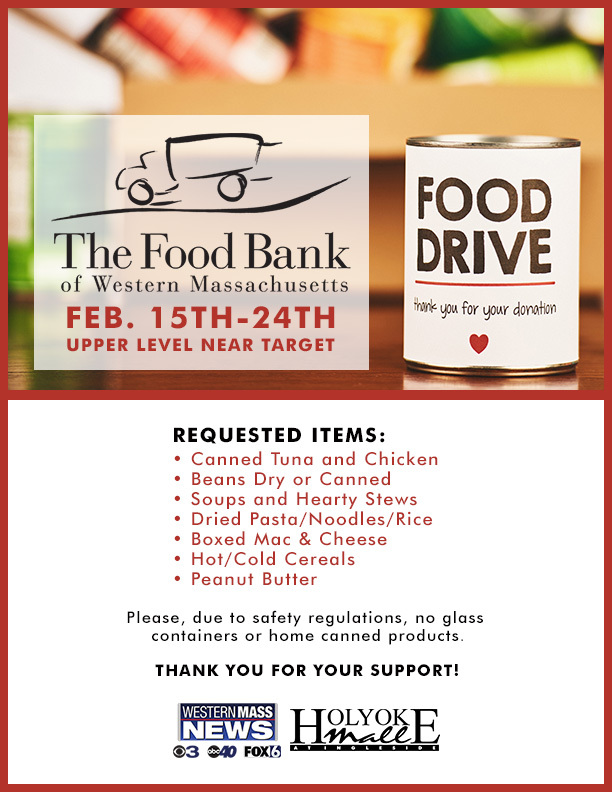 Holyoke Mall is proud to partner with Western Mass News to hold a food drive to benefit The Food Bank of Western Massachusetts from February 15th – February 24th on the Upper Level near Target. 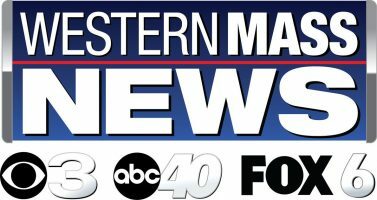 Donation boxes will be available Monday – Friday from 10:00 a.m. to 9:30 p.m. and Sunday from 11:00 a.m. to 6:00 p.m. for guests to drop off non-perishable donations. 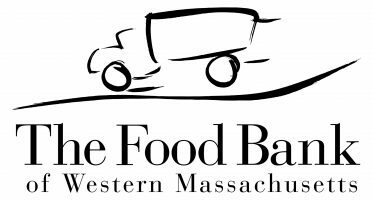 Since 1982, The Food Bank of Western Massachusetts has been feeding our neighbors in need and leading the community to end hunger. We distribute food to our member agencies in Berkshire, Franklin, Hampden and Hampshire counties. These independent pantries, meal sites and shelters are on the front lines of emergency food assistance in our region, playing a crucial role helping individuals, families, seniors and children.